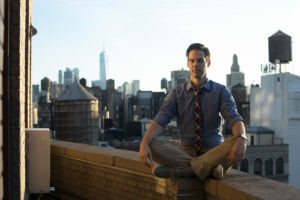 Alan Brown is Director of Integrative & Co-Curricular Learning at an independent day school in New York City, where he also leads the school’s mindfulness programs for students, teachers, and parents. 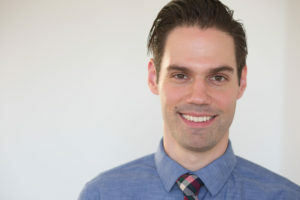 Alan also serves on the faculty of Mindful Schools, where he is a Lead Teacher and Curriculum Designer for the Year-Long Mindfulness Certification Program. certifications in mindfulness in education from Mindful Schools and in positive psychology from Dr. Tal Ben-Shahar and the Wholebeing Institute, as well as trainings in Mindfulness Based Stress Reduction (MBSR) and vinyasa yoga. He is a frequent presenter and facilitator on mindfulness and positive education in schools. In addition to his work in education, Alan is an advocate for mindfulness to the Tourette Syndrome community. He is currently collaborating with Massachusetts General Hospital and Bowdoin University to develop and measure a mindfulness course for Tourette Syndrome and tics. He is also the facilitator of the Tourette Association’s NYC family resource & support group. Blending a thorough understanding of the unique challenges facing students, parents, and teachers, with a firm belief that all people can learn to thrive both physically and mentally, Alan offers practices that are both time-honored and evidence-based through organizational consulting, presentations, group classes, and individual coaching. Growing up, I was very much the “fidgety kid” who had a hard time staying still and staying quiet in class. In middle school, I learned that this was actually Tourette Syndrome, accompanied by what would now be recognized as ADHD and OCD. I experienced frequent involuntary motor tics from this well into my 20s and 30s, and throughout this time, the only solution offered was medication that would cause weight gain, sluggishness, and a dulled experience. When I began my teaching career, I was interested in helping my students with stress and anxiety, and I realized that mindfulness had the potential to offer this in the classroom setting. It came as a surprise to me, though, that as I began practicing meditation and mindfulness myself, I could control my tics and be still of my own volition for the first time in my life. The ADD and OCD subsided as well, as my attention sharpened and my rigid thinking relaxed. For the first time, I could actually regulate my own nervous system, just by paying attention to my own breath. Considering the extent with which I’d struggled, this was nothing short of a miracle for me. I had stumbled into a solution I didn’t even know was out there. I’ve worked with many people over the years who report similar shifts in the physical and emotional challenges with which they were working. It is my heartfelt wish that all people have access to this same set of practices and skills that I discovered. Mindfulness and related practices are not a magic bullet, but beyond the findings of any research study (and there are lots these days), I know from my own experience that they have the potential to change significantly lives for the better. Everyone deserves that. The premise that when we feel better we learn and perform better has been consistently validated by the research in many different contexts. The following offer a comprehensive though by no means exhaustive introduction to mindfulness and the science of human thriving. They’re a good place to start. Geelong Grammar School, a true model in this field, has published their framework for positive education and the research model underpinning it in their book, Positive Education: The Geelong Grammar School Journey.